Zany and totally fun. I loved these fabrics so much I just had to make up a collection. The stripes and circles are raised stitching giving texture. Then layers of doe suede and cut-outs are appliqued to add depth, contrast, and more texture. 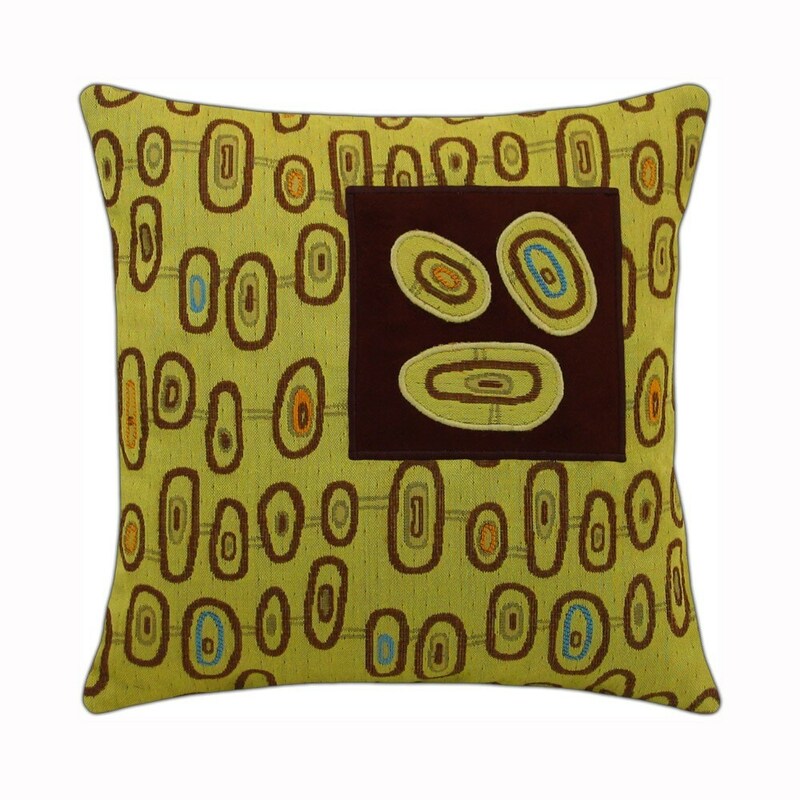 Artful decorative pillows are a wonderful way to accent your living spaces. Let a few Three Eye pillows bring some zing in your home.